Fall Trail Work, drainage and Bridge building successful! 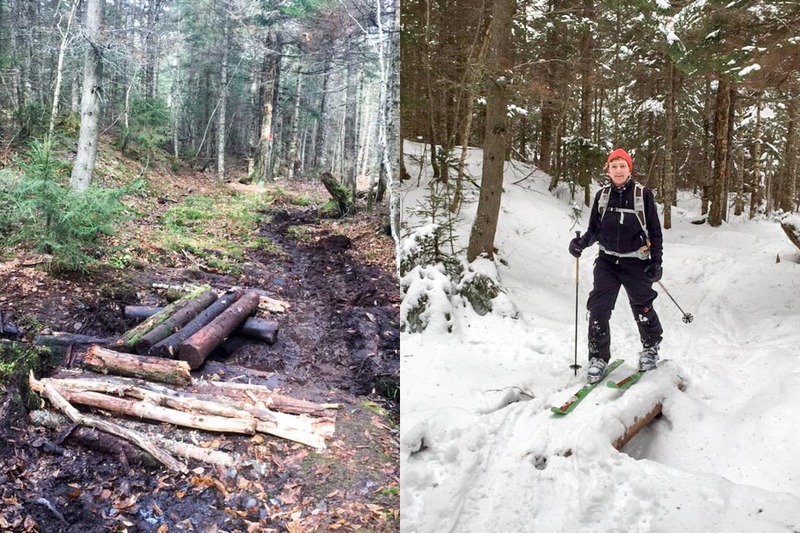 Last fall, we extended our trail work beyond loppering and removing fallen limbs. We dug ditches, directing water off the trails and built bridges where it crossed the trails. Many of us wondered how effective this would be. The answer: very effective! Coyote is dry! This is a complete change from last year when it was often wet. As for the simple bridges we built on the upper portion of Gardiners, take a look at the photos. They are usable even with a small amount of snow cover. This is as successful as we could have hoped for, so let’s plan on building more next fall!